Spencer- Bonnie (Kokansky) Sheldon age 70 died at her home, Saturday September 8, 2018. She leaves her husband of thirty nine years, Thomas M. Sheldon. She also leaves sons, Douglas Casault and his wife Kathy of Spencer, Richard Casault and his fiancee Tammy Hays of Jefferson and Thomas Sheldon Jr. of Millbury, also two daughters, Kristal Hilton and her husband Archie of Marlborough and Pamela Rawlston of Sanford, Maine, four grandchildren, Chrissy Casault and her fiancee Bryan Chonko of Sabattus, Maine and Ryan Casault of Spencer, Amanda Rawlston of Worcester and Jackson Sheldon of Glovesrville, NY. also leaves a brother John Kokansky of Barre, and two sisters, Kathy Hanson of North Brookfield and Kally Judycki of W. Brookfield, and many nieces and nephews, she had a brother who predeceased her Matthew Kokansky of N. Brookfield. She was born in Worcester, daughter of the late William Kokansky and Katherine (Bullard) Kokansky and lived in Spencer for the past eleven years prior to that living in N. Brookfield. 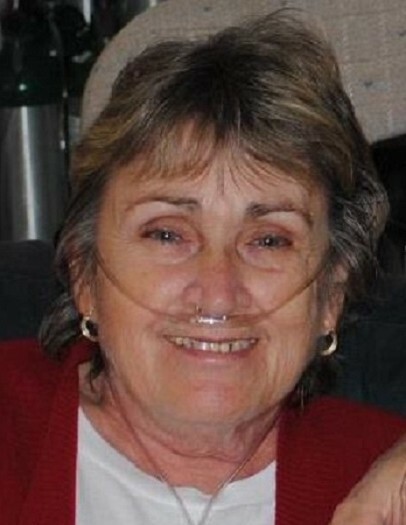 Bonnie was a nurse’s aide at the Quabaug Nursing Home, W. Brookfield. She enjoyed cooking, reading and quality time with her grandchildren. There are no calling hours. Please omit flowers but donations may be made in her memory to St. Joseph’s Church, 28 Mt. Pleasant St., North Brookfield, MA 01535. A memorial Mass will be held at 11AM on Saturday, September 22 in St. Joseph Church,28 Mount Pleasant Street, North Brookfield. Burial will be private. The Shaw-Majercik Funeral Home, 48 School St., Webster, MA has been entrusted with her arrangements. A guest book is available at www.shaw-majercik.com where you may post a condolence or light a candle.